The Chattanooga Department of Transportation and the Songbirds Foundation have teamed up to offer the Block & Roll Neighborhood Block Party Grant Program, which will give neighborhoods the resources necessary to activate public spaces in communities throughout Chattanooga. The grant program is accepting applications from all Chattanooga neighborhoods. “Through our partnership with Songbirds, we can facilitate a unique use of city streets in a safe environment while also removing the financial barriers to neighborhoods gathering in a public space to celebrate their community,” says Blythe Bailey, administrator for CDOT. Neighborhood Block Party Grant funds will be used to cover the costs associated with throwing a block party, including all applicable permit fees, the cost of barricades and signs required for closing a neighborhood street and activities or entertainment for the event. In addition, through a partnership with Outdoor Chattanooga, CDOT will facilitate additional programming such as archery, bike riding or kayak lessons. The Block & Roll Neighborhood Block Party Grant is made possible through funding by the Songbirds Foundation. “This program will unite communities and showcase Chattanooga’s vibrant culture, diversity and talent,” says Reed Caldwell, executive director of Songbirds Foundation. The Block & Roll Neighborhood Block Party application will be available to Chattanooga neighborhoods and Neighborhood Associations through CDOT’s office as well as the Office of Economic and Community Development. The application is available online at www.chattanooga.gov/transportation/traffic-engineering-a-operations/block-roll-neighborhood-block-party-program. Submissions are due by Friday, Aug. 25, 2017. The final announcement for winning neighborhoods will be made on Friday, Sept. 1, 2017. 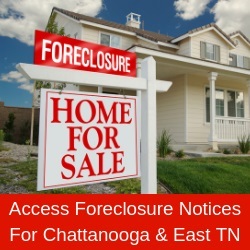 For more information, contract Jonathan Susman at jsusman@chattanooga.gov or (423) 643-6156.